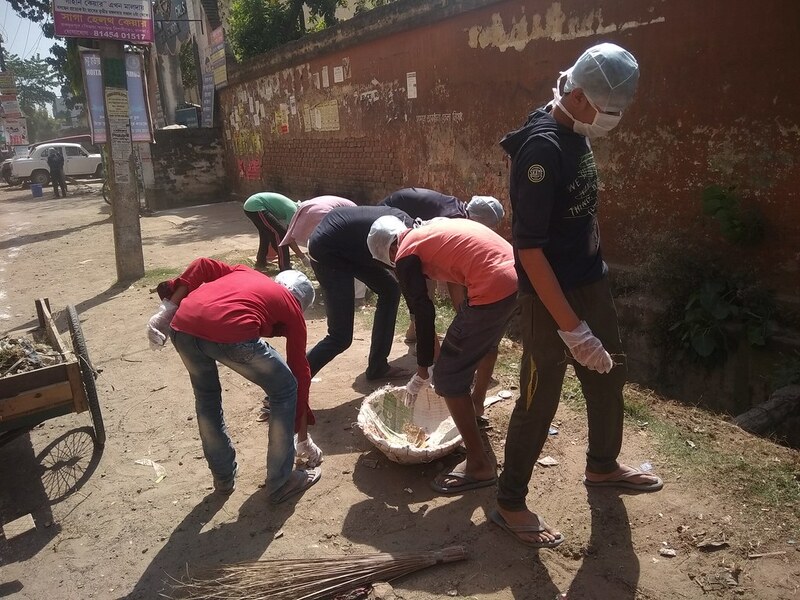 Ramakrishna Mission Ashrama, Malda, organized a cleanliness drive on 18 March 2018 with students, monks and volunteers. 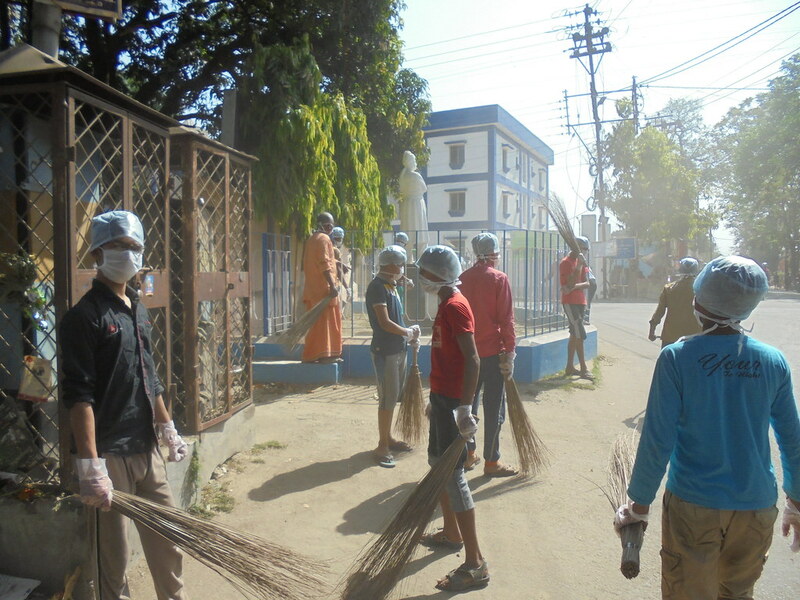 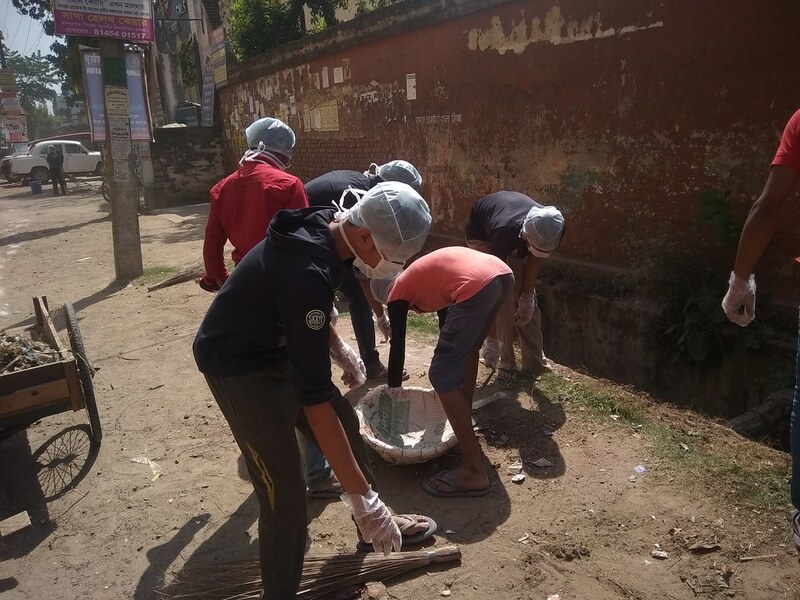 The participants cleaned the roads from the Mahananda river upto the Shibnath Bhavan point, beyond the Barlow school. 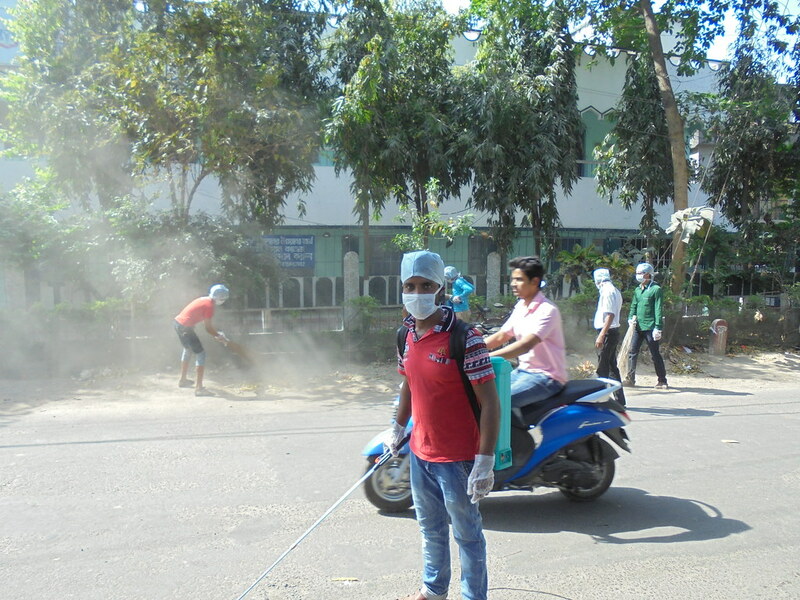 The roads were broomed, bleaching powder spread on both the sides, and mosquito repellents were spread in stagnant water, which is an easy breeding ground for mosquitoes.